Murud and Divegar are two destinations worth visiting in your Kokan Tour. These two places are located along the Maharashtra Coastline. By road the distance between these two places is around 60km. This distance can be curtailed to only 20 km if you take a ferry. Before, telling you about the connectivity option between these two places. Let us know more about these two places. Murud Janjira fort is around 160km from Pune and Mumbai is base to one of the strongest Sea fort of yester years. Situated on a rock of oval shape near the port town of Murud, Janjira is a corruption of the Arabic word Jazira for island. The fort is approached by sailboats from Rajapuri jetty. The main gate of the fort faces Rajapuri on the shore and can be seen only when one is about 40 feet away from it. So these two are the famous tourist spots in Konkan which one should not skip to complete his Konkan Tour. The best mode of transport to visit these places is by hiring a cab but anyways the public transport busses are also available from both major cities i.e. Mumbai and Pune. Well using public transport can be a time consuming option. As we are just discussing about the time consuming parameter so here is one more option to curtail your time while one has to travel from Diveagar to Murud or from Murud to Diveagar. By road the distance between these two places is around 60km approx. 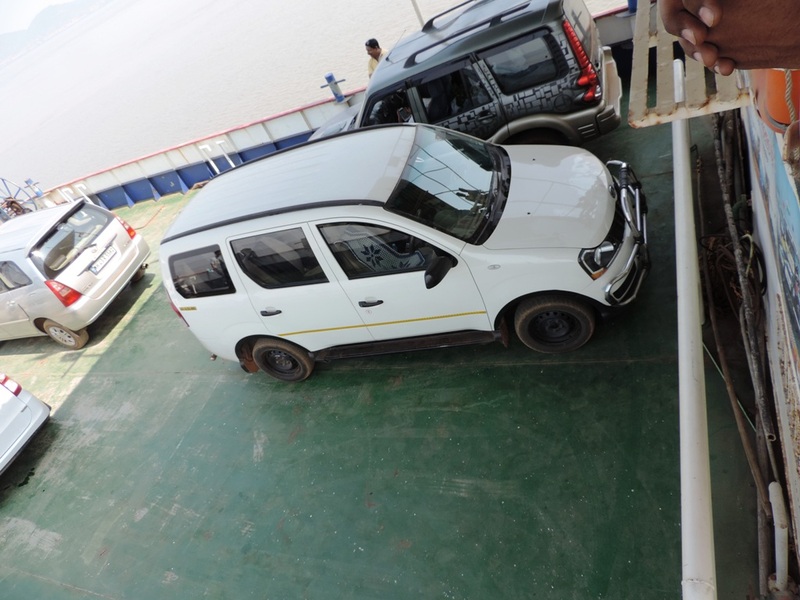 which can take around 1-1.5 hrs depending upon the road condition, but to travel swift and in less time you can take an option of ferry which plies between Agardanda and Rohini near Dighi Port on Rajapuri Creek which curtails the distance to 20 km while the time taken is around 20 min only. *This is no promotional glitch I took this number while we boarded the ferry. Also the size of vehicle is not a worry as even trucks are ferried via this channel. Hope you saved time with this to explore more beautiful areas….. Happy Travelling..